If you often find yourself experiencing moments of mental fuzziness, you may need some tips to help boost your brain power. Practicing regular mentally stimulating exercises is one way to help keep your brain from getting too tired and slow. Your diet also plays a role in helping to keep you mentally sharp. When you choose foods that have been linked to various increases in brain activity, you may start to notice some small changes in your thought processes and daily routine. Here are the top foods to start eating to get better brain function. In order to help keep your mind sharp and ready to tackle any problem, you need to have some sort of source of essential fatty acids in your diet. One popular food that is packed with omega-3 fatty acids is salmon. This tasty fish is loaded with healthy oils and fats that can lead to a more productive brain. Salmon also contains docosahexaenoic acid, or DHA, which may prevent the progression of Alzheimer’s disease. Try something like poaching salmon in a white wine sauce to get the most out of this powerful seafood. Fruit can also help promote healthy brain activity. One of the best fruits to support your mind are blueberries. Blueberries are one of the best sources of anthocyanin. This molecule can help decrease instances of memory loss, which may support the brain’s ability to learn and remember important details. Blueberries are a tasty treat that can be added throughout your diet. Try supplementing your morning bowl of oatmeal or cereal with a handful of blueberries to get the most effect. Kale is another helpful food that you should be eating for its many health benefits. Not only is it tasty, but kale is loaded with top vitamins and minerals that support your entire well being. Kale is also one of the best sources of vitamin K, which is a vital part of maintaining optimal brain health. Vitamin K is known to help your brain regenerate with fat molecules called sphingolipids. These elements can help keep your mind at its most healthy. You can also get more brain power with the addition of eggs in your diet. 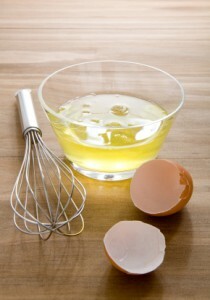 Eggs contain something called choline, which is an essential element to a healthy diet. You can increase your mental capacity by insisting on regular consumption of choline. Try whipping up some healthy frittatas or a simple plate of scrambled eggs to get the most out of this powerful nutrient. Broccoli is one of the top foods that healthy people consume on a regular basis. With plenty of fiber, low calories, and many other vitamins, broccoli can additionally give your brain a boost. Broccoli helps your brain with its inclusion of glucosinolates, molecules that help keep the nervous system performing at its peak. Since your brain is the main control source of your nervous system, this helps increase brain function as well. Enjoying a large plate of steamed broccoli for your side dish at dinner tonight can help you take advantage of its benefits. If you’re trying to make the best choice with your bread and grain products, opt for something that contains whole grains. A great whole grain that you can enjoy more often lately is the recently popular sorghum grain. Sorghum, like other whole grains, can help keep your blood sugar levels in check. This means that you are less likely to experience the mental fog that comes along with lowered blood sugar. You can enjoy the taste of sorghum even in your cookies with Just Cookie Dough from hampton creek. Creamy avocado is another popular food to choose when you’re looking for the best brain fuel. Avocado is a great source of vitamin E, which has been shown to reduce the memory problems associated with Alzheimer’s disease or dementia. It does this by helping to combat some of the free radicals that come along with the progression of memory disorders. You can enjoy some diced avocado during your next Taco Tuesday night to help prevent this terrible disease from taking over your mind some day. Putting your foods to work for you is one way to keep your mind focused and ready for each day. Choose powerful nutritionally dense foods that feature helpful minerals and vitamins to get the most out of your brain every day That way, you can help prevent memory loss or other mental impairments that are more common as you age. Vitamin C has long been thought to have the power to increase mental agility and protect against age-related brain degeneration including dementia and Alzheimer s. One of the best sources of this vital vitamin are blackcurrants . Others include red peppers , citrus fruits and broccoli . Eating well is good for your mental as well as your physical health. The brain requires nutrients just like your heart, lungs or muscles do. But which foods are particularly important to keep our grey matter happy and healthy?